Build it and they will come. Make it easy to leave and they will. That seems to be the takeaway behind the news that email "unsubscribes" have jumped 75% among those using the latest edition of Apple's iOS. 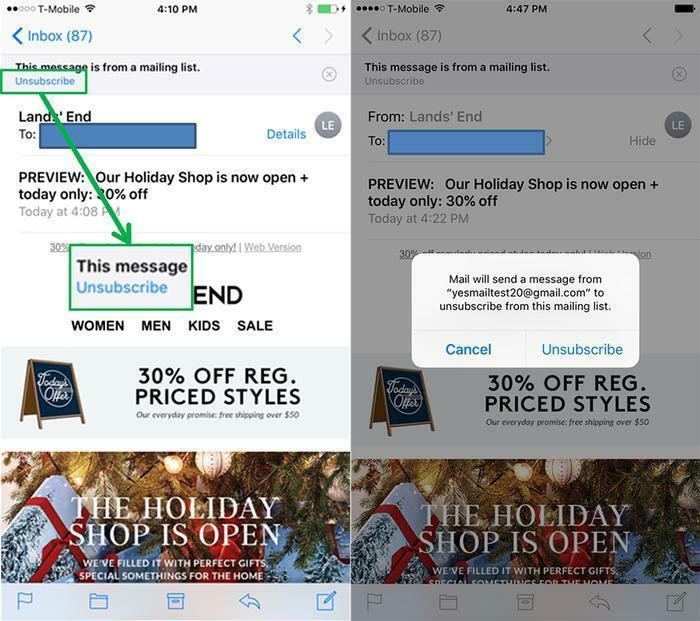 Apple's latest release of its operating system includes an "easy unsubscribe" feature. It inserts a banner reading "this message is from a mailing list" at the top of suspect emails and includes an unsubscribe link. While consumers may love it, email marketers aren't so thrilled. “The overall trend of increasing iOS unsubscribes is consistent across industries but the level of iOS 10 adoption and the size of the unsubscribe increase can significantly vary by industry,” said Kyle Hendrick, director of client services at Yesmail, a marketing company, in a blog posting. And just what might those "long-term upsides" be? Hendrick says innovations like easy unsubscribe "can significantly reduce friction and make customers feel in control" and he adds: "Since these enhancements are brand-agnostic, the marketers who succeed in delivering relevant and timely content will always come out ahead of their competition." Of course, they may still delete your email.